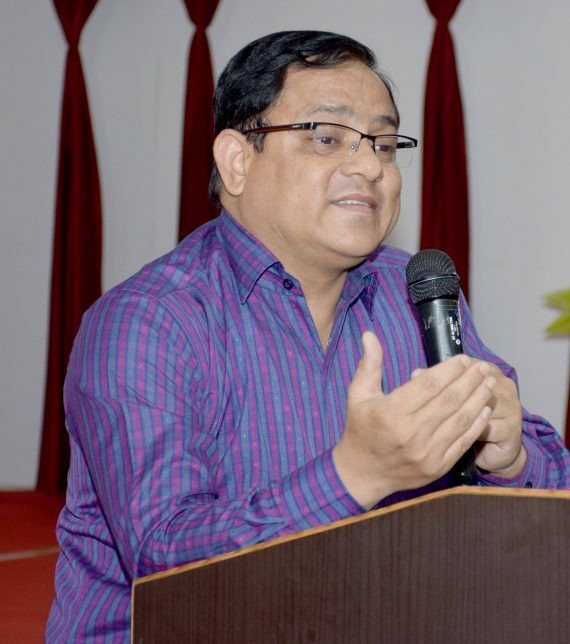 Mr. Jahidul Haque Choudhury is the College Academic Officer, Ajmal Group of Institutions. A Master in English from Assam University, Silchar, Mr. Choudhury is very much passionate to teaching-learning. He contributed a lot in the field of education as well as administration working as a teacher, Principal, College Inspector prior to the present position in Ajmal group of colleges run By Ajmal Foundation. The key role he plays as the College Academic Officer, AGI’s, is looking after the overall academics of AGI’s under the banner of Ajmal Foundation with assurance of imparting quality education to the budding talents of the country to equip them well with adequate knowledge and skills to compete in the present world. Analysis of results after every examination & test and Planning for strategies for further progress of the students remain his continuous effort. As teachers are the builders of the nation, he also is bestowed upon with the responsibility of recruitment of teachers in AGI’s. He is worthy for this, as the slogan of the Hon’ble trustees of Ajmal Foundation is “Ajmal For Education, Education for All”, and it’s possible only when the future of the young generations is handed over to the right teachers, capable of guiding and mentoring them properly. He is successfully handling all the responsibilities assigned to him and always ready to work beyond that, for the greater interest of the organization.